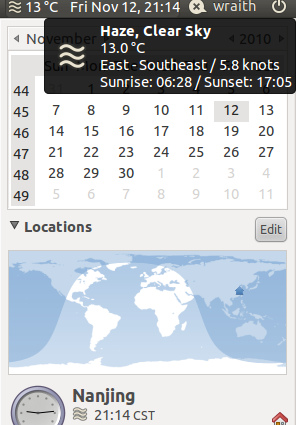 When installing a fresh Ubuntu from LiveCD, the Clock applet on top panel of the image desktop shows weather. But after installation and boot-up Ubuntu from the local disk, Clock applet doesn’t show the weather by default. This stupid tutorial will show you how to get the applet show your local weathers. Right click on the Clock applet and open up the Preferences window, on Locations tab click Add. 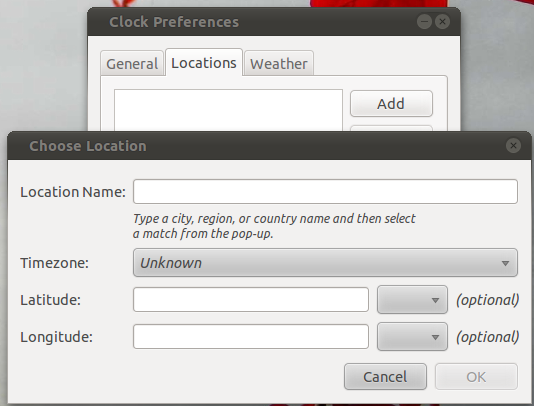 Type in your locations and click OK.
No user responded in " Show Weather and Set Date/Time in Ubuntu Clock panel applet "